First, can we give a round of applause to the name, A-Town Cream? 👏👏👏 It pays homage to Sublime’s hometown of Atlanta and reference to Young Jeezy feat TI & Lil Scrappy’s “Peace Up (A-Town Down)”. 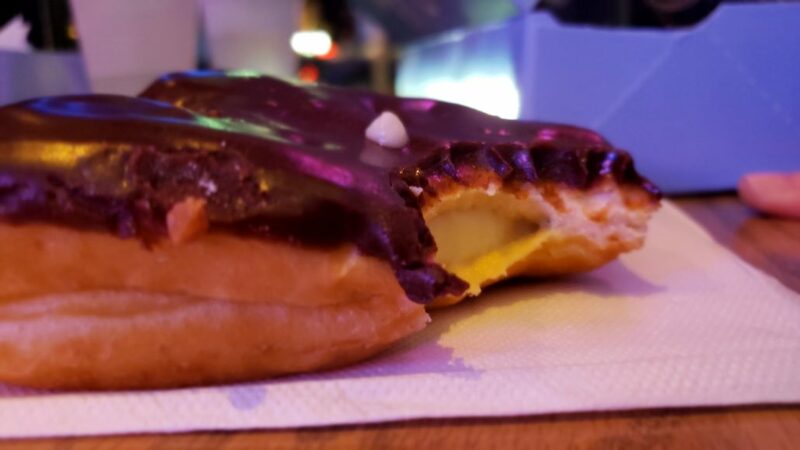 If you didn’t know it, this is Sublime’s rendition of the classic Boston Cream donut. 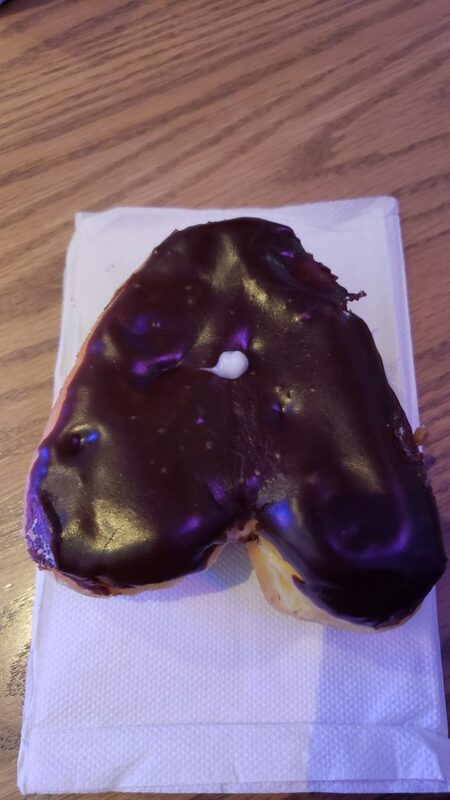 In this case, we’ve got the letter A filled with delicious cream. 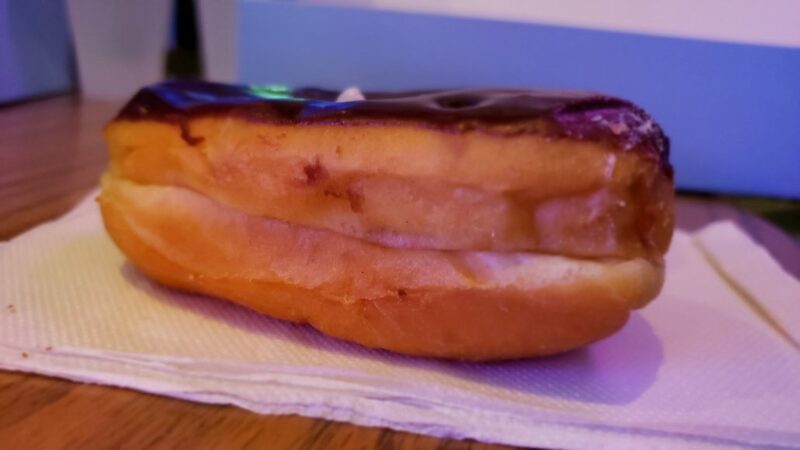 Having freshly come off the high of Vive La Tarte’s own cream-filled donut, I felt this Sublime donut was lacking. The “lack” I was not filling (get it? Instead of “feeling”? 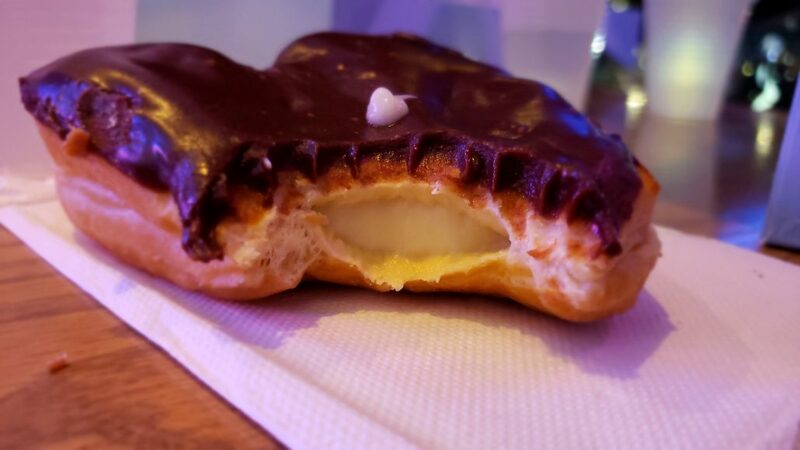 😂) was taste of the cream. 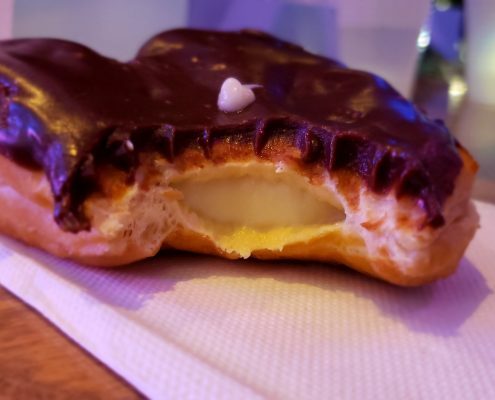 As I mentioned in the Viva La Tarte post, I don’t normally get creme-filled. 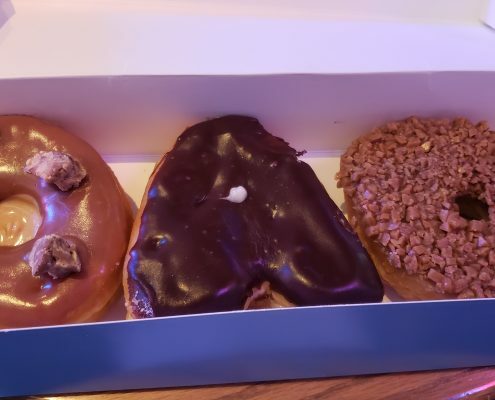 When I get creme filled, too, it tends to be something special like the vanilla or Orwasher’s Blueberry-Filled Donut. 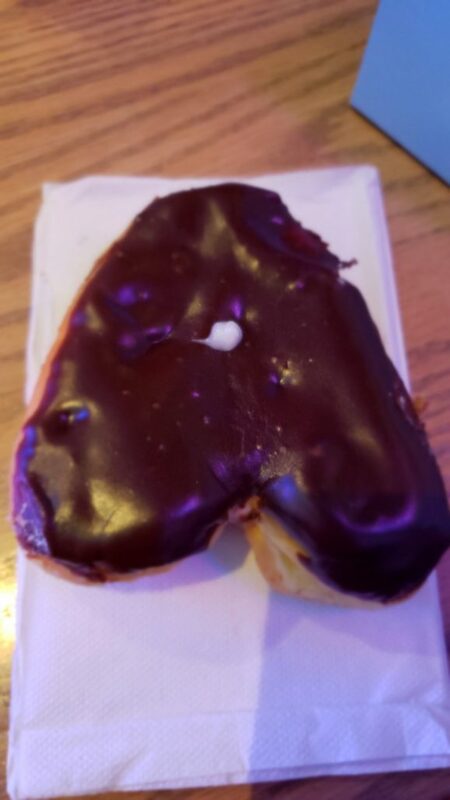 To have a simply “cream-filled” donut, then, meant I was lacking a tinge of something extra. 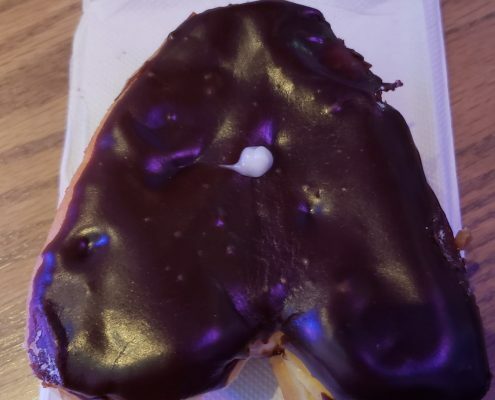 Other than the cream, however, the donut was superb. 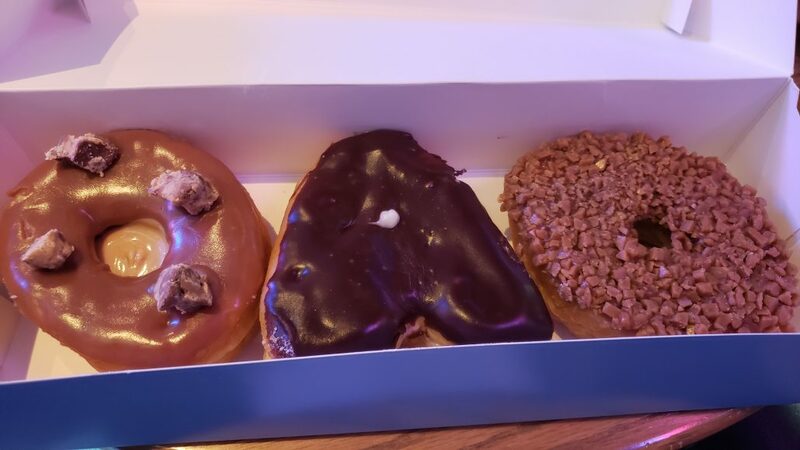 It’s what I like about Sublime Doughnuts. 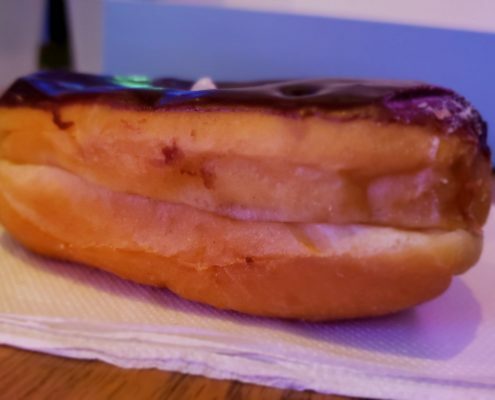 They have the dough consistency I prefer while their frosting is satisfyingly sweet and with just the right layer depth. 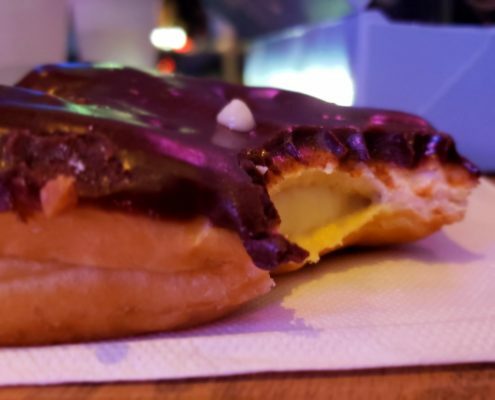 If you’re a fan of Boston Cream, give this donut a shot. 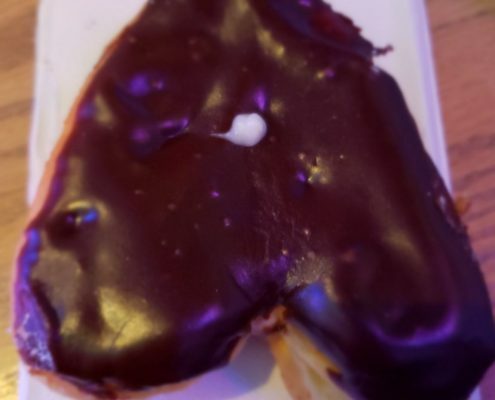 If you like rap, give this donut a shot.